Eileen walked into the common room and with the most genuine smile on her face said “Do you guys want to see something completely magnificent?” As we stepped out barefoot onto the stone tiles of the villa, she pointed out in the distance to a gigantic new moon– the biggest we’d ever seen. It was silent, it was dark, and we were awe-struck. This was the Valle de Guadalupe. While the Valle de Guadalupe wine country has been slowly picking up momentum in recent years, it’s charm remains completely in tact. It’s still quiet here. There is still a “middle of nowhere” feel. It hasn’t been Disneyfied like it’s northern Californian neighbor, Napa. The valley is host to dozens of up and coming (and established) wineries– vineyards tending to actual old vines and keeping their grounds bio-dynamic by farming a plethora of vegetables and other native plant-life. A Baja-med climate akin to Tuscany and a deep valley within minutes of the sea lending a terroir that is not unfamiliar to winemakers in California’s Santa Ynez. Our recent stay at La Villa del Valle immersed us in this terrain. Verdant and bare simultaneously at the height of January’s winter. Beautiful greens and browns that felt like a mix between the Italian countryside and the Arizona desert. While the lawn and flowers were beautifully tended to– trees and herbs were allowed to become unruly; allowed to flourish and be lush. The clear blue skies were striking as a frigidly cold breeze slowly rocked the post that usually holds up the villas hammocks in the warmer months. January is probably the season’s least visited seasons, but that didn’t stop us from making the trek across the US border in search of delicious food, relaxation, and surprisingly impressive wines. For those looking to really get some R&R, La Villa del Valle cannot come more highly recommended. Located right off the Hwy 3 on the historic Ruta del Vino, this 6-room villa has five-star amenities including luxurious common areas,a wine and botana reception in the evenings, and even a beautiful (heated) pool area. The surroundings are gorgeous– as characteristic as an artist would have portrayed the area decades ago. Old boats abandoned on the far reaches of the property help mark where you are when you’re navigating in the pitch black darkness over the dirt roads leading to the main house. A pack of dogs scamper about the grounds greeting guests; eager to say hello to a new face. While the bedrooms are comfortable, a nap meant to recharge you for an hour could easily turn into an all-afternoon slumber. This is, however, the sort of place where you want to enjoy outside your room–out in the common area where a library of (actually good) books are available at your fingertips, a spacious living room surrounded by windows complete with couches, a wood-burning fireplace, and an acoustic guitar; on the veranda of your room, or the many seating areas around the villa that become host to your sunset viewings. Still not convinced? 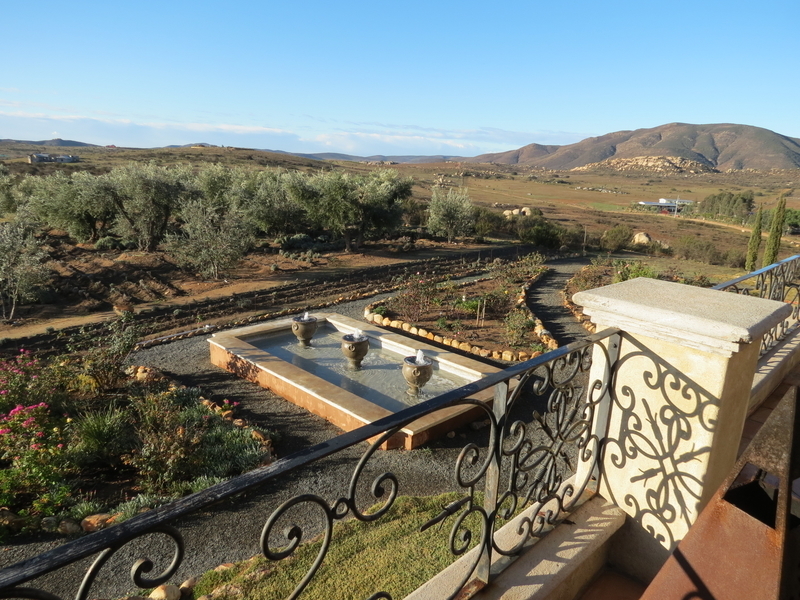 Check out my photo gallery and take note: the food and wine at Corazon de Tierra (located on the property) is worth visiting alone– we dined there four times in three days and never had the same meal twice, but I’ll dive into the restaurant in another post. The wines that owner Phil creates are expressive and worth a try, and the “little things” such as Eileen’s line of lavender toiletries (which uses the lavender grown on site), the impeccable 5-star service, and the complimentary fresh breakfasts at the restaurant make for the best getaway close to home.